Have you heard the news? 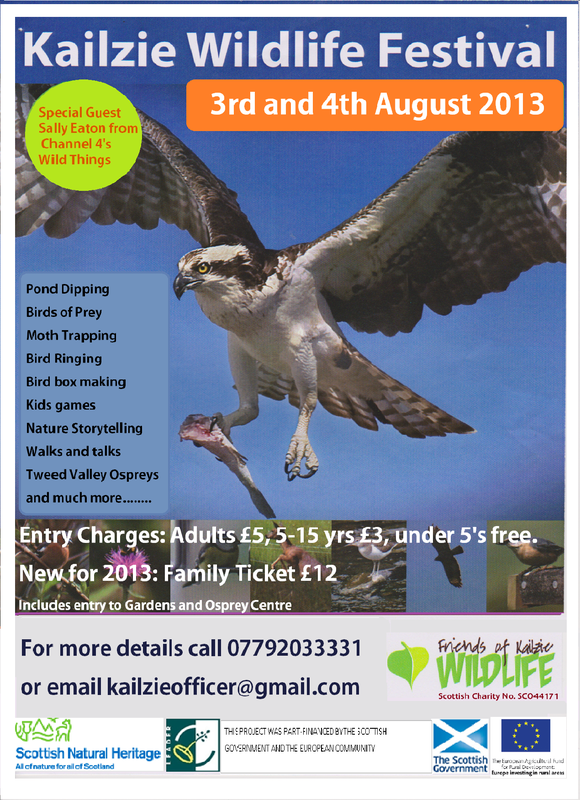 The Kailzie Wildlife Festival 2013 will take place on the weekend of August 3rd and 4th at Kailzie Gardens. ………………………. and much more still to be confirmed! New lower prices for 2013!!! Adults £5, Children 5-15 £3, under 5’s go free! Posted by kailzie on April 9, 2013 in Uncategorized.